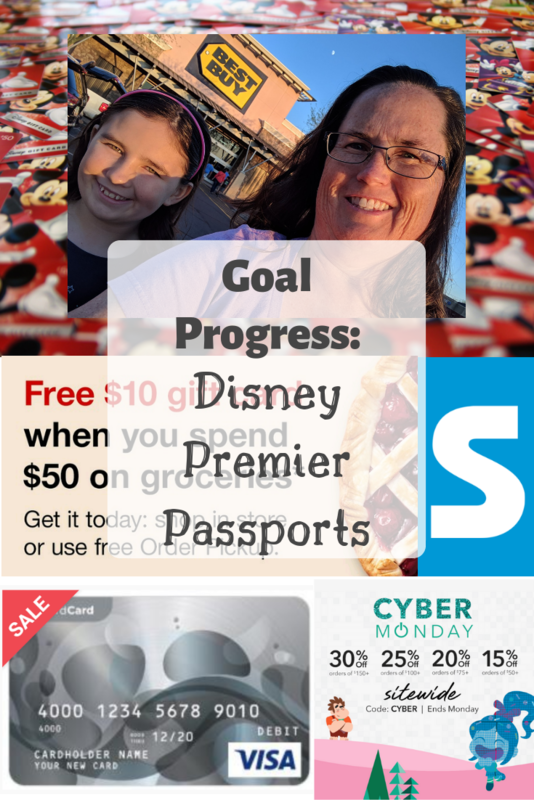 ’tis the season for deals, and we ended up making some that affected our goal progress toward our Disney Premier Passports this past week. However, between Best Buy Rewards, Swagbucks, and shopDisney, we came out slightly ahead. On Black Friday, Best Buy had a great deal on Amazon Echo Dots. The price for this device was only $24, plus you could add a Smart Plug for only $5 more. Maggie and I headed to the store to check it out. We ended up doubling up on this deal, and then adding a Disney gift card to top up to $100 for the entire transaction. The reason for this is that Swagbucks pays 750 SB on purchases from $100-$499, anything $50-$99 pays 250 SB, and anything over $500 pays 1500 SB. 100 SB roughly equals one dollar, although you can usually redeem for better than that. So a $100 transaction is the 7.5% savings sweet spot. The only issue that I didn’t realize (due to not purchasing regular retail items at Best Buy), is that Swagbucks doesn’t count the tax in the transaction total, so I was stuck with a $99.98 transaction, only because I was trying to add in a $5 Best Buy Reward and the cashier kept ringing up my Disney gift card wrong. That mistake covered all but 2¢ of the tax, but if she hadn’t made that mistake, it would have been $5.02. Live and learn. Live and learn: You have to factor in the tax on a Best Buy threshold purchase for Swagbucks! So my next Best Buy story happened yesterday for Cyber Monday. 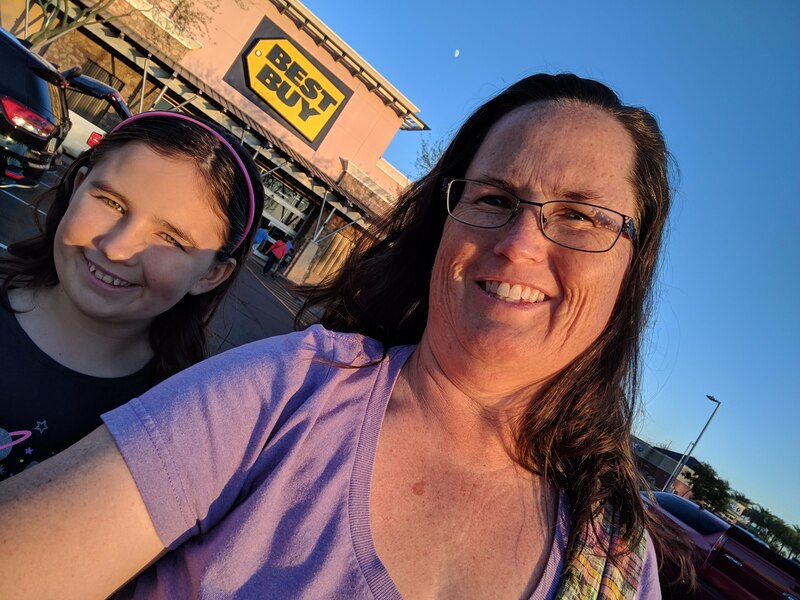 Now, the bonus for Swagbucks will only pay out on Weekly Ad deals or in-store purchases, so it was ironic to be going to the store for a Cyber Monday deal. SwagIQ hosted three games on Cyber Monday, and in between games one and two, they had a flash sale at Best Buy for 5 SB per dollar, regularly 2 SB per dollar, right now for 3 SB per dollar. So my usual $100 sweet spot would not only earn 750 SB, but also 500 SB paid out through Shop later. Now I’m getting $12.50 back in SB instead of $9.50. That extra $3 isn’t too much, but times two, plus Best Buy Rewards, I’ll take it. The reason I say times two is because Swagbucks only allows one transaction per account per day for this bonus deal. Luckily, Bryan and I both have Swagbucks accounts, so we can double up on this deal every time we go to the store. Add in Chase Pay for bonus Ultimate Rewards for Sapphire and 5x rewards on Freedom, and we make out like a bandit! As an aside, for my savings percentage, I don’t factor in earning Ultimate Rewards because those will be used towards free travel on either hotels or flights, and I don’t want to double dip in my savings calculations. 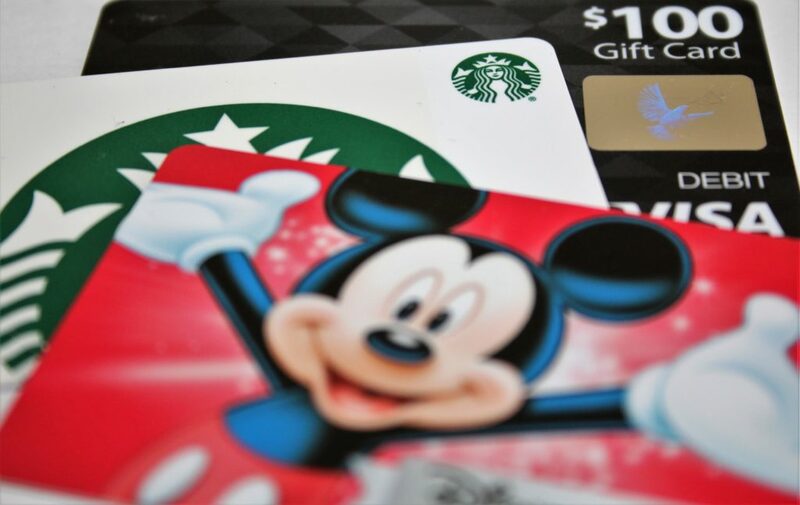 To pay for these gift cards, I had $100 saved up. This amount came from cashing in Swagbucks for $25 and $50 virtual Visa gift cards, Shopkick, and Target gift cards with a purchase. 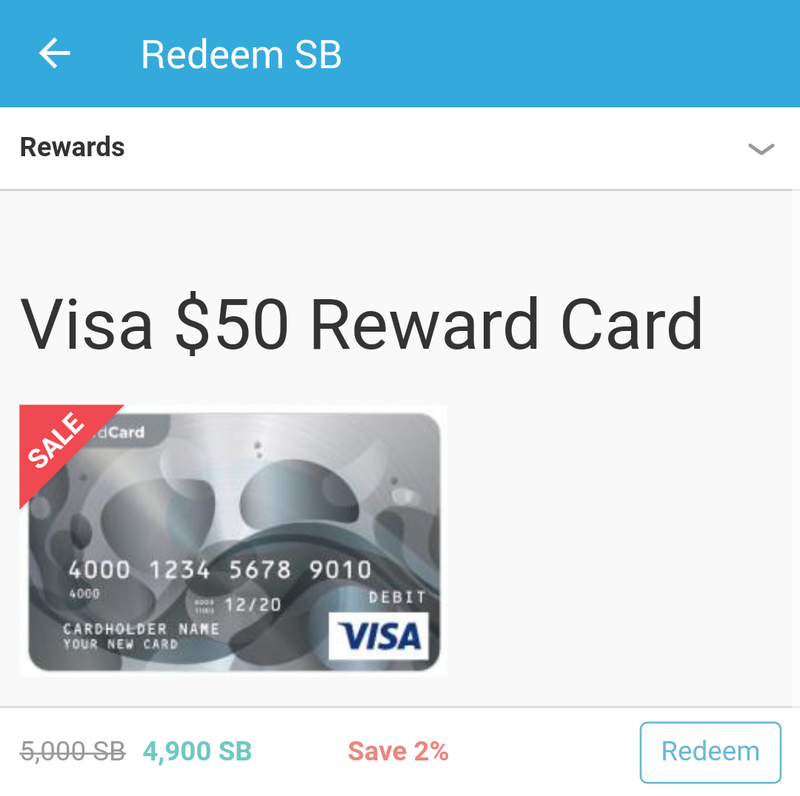 I made the Swagbucks redemptions to satisfy the square on my Swago board, and found that I had never gotten my first $25 gift card this month when your first one is discounted to only 2175 SB. Shopkick is a really slow earner, so it took me forever to earn enough points for a $5 reward. Lastly, I hit the Target, “Spend $50 on groceries, get a $10 gift card” deal twice, once the week before Thanksgiving, and again the week of Thanksgiving. 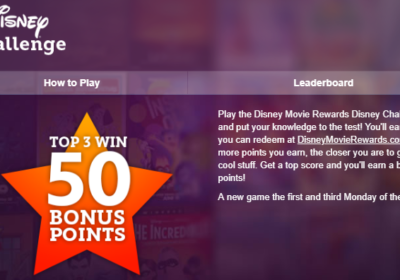 The last bit of earning this week came in the form of a free gift card from Disney Movie Rewards. 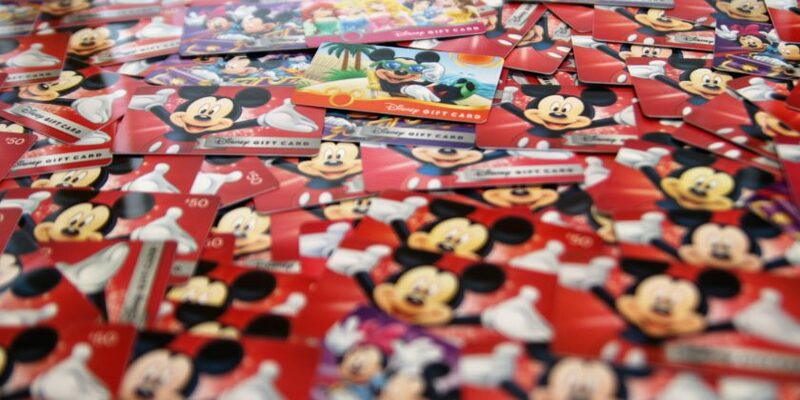 To maximize our earnings, both Bryan and I have accounts since we usually have at least six tickets per Disney movie, and DMR only allows you to upload four tickets per account per movie. 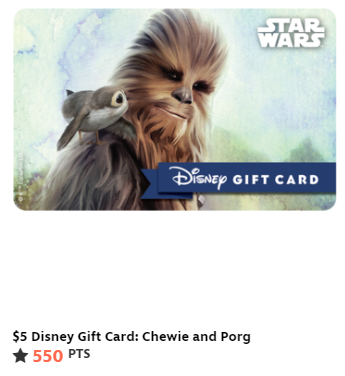 This gift card came from my account, and I’m so happy that DMR restocked the fun hard plastic cards recently, because we ordered the Chewie and Porg card from Star Wars: The Last Jedi. The next one is coming from Bryan’s account, and Maggie chose the Captain Hook card from their Villains series. We had a bit of a setback last night when I received an email from shopDisney stating that they were running a Magical Rush special giving free shipping on all orders, where usually you have to spend $75. 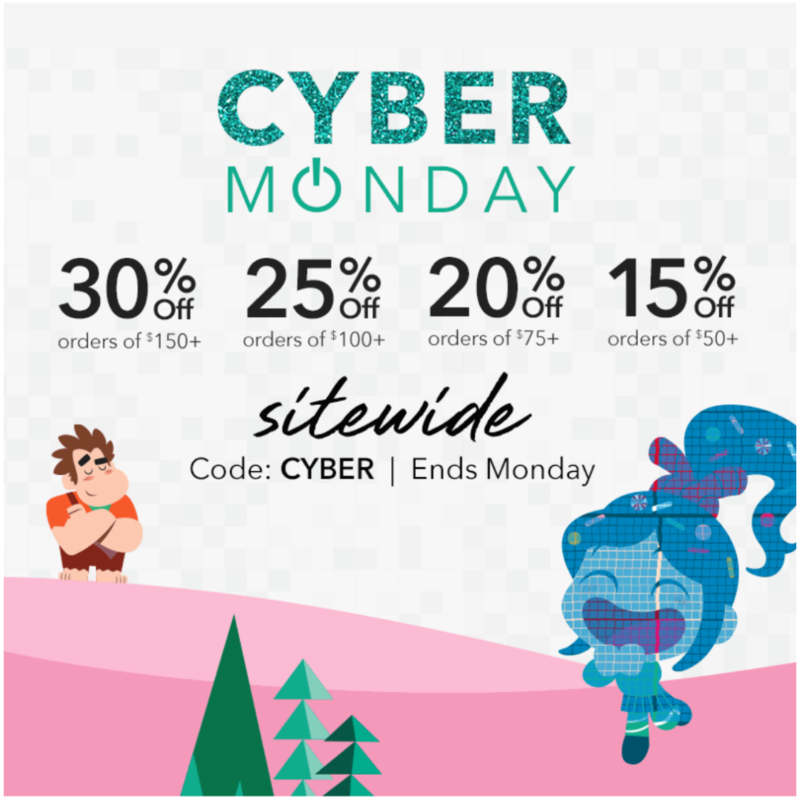 I don’t ever buy anything full price on shopDisney, but they almost always have sale items, plus, for Cyber Monday, they were running 15-30% off (depending on how much you spend) on top of sale prices. Now that’s a sale I can get behind, and we certainly made use of it. There were hundreds of items on sale, and, $235 later, we had 21 items in our cart! It would have been 25, but there were some things that sold out before we could checkout. Instead of putting this amount on a credit card and not earning any bonus category points, I used one of our Disney gift cards. 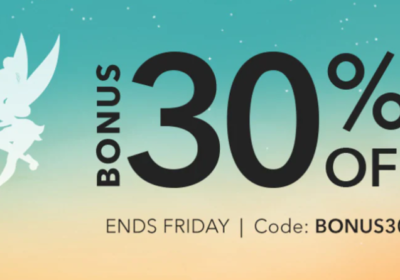 Our 21 items, already on sale, plus 30% off, then 43% off from our discounted gift cards, and add in the 5% rebate from clicking through TopCashBack, we only paid $124 out of pocket, which works out to a little less than $6 per item! Win-win-WIN! Right now we are at $3316 of $6000, but our savings percentage dropped to 43% due to pulling the trigger on deals during Black Friday and spending most of our earnings this week on the shopDisney sale. We will get it back in time, I’m sure. Stay tuned for the next update!